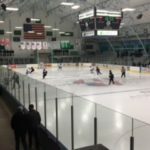 Calumet, MI – December 23rd, 2017 – The Marquette Redmen faced off against the Calumet Copper Kings in Calumet this evening for a loss with a final score of 2-3. 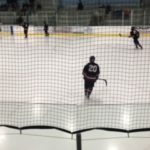 The Marquette Redmen took the ice tonight to face off against the Calumet Copper Kings, Coach Doug Garrow said coming into the game the Copper Kings would be a great match despite their record of 2-5-1. 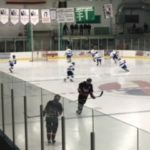 Calumet won the starting puck drop and early in the period Calumet hit the ice hard and with some luck and bounced the puck off Marquette’s Dylan Sibilisky and landed a goal to take the lead 0-1. 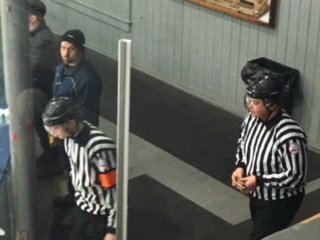 The Redmen played a great game with a lot of heart but squandered 3 powerplays to finish out the first 0-1 Calumet. 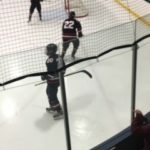 The Redmen wasted no time pressuring Calumet at the start of the second period, Sean O’Connor scored a goal for Marquette evening the score 1-1. 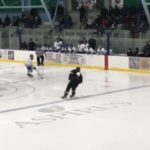 The Copper Kings did a great job killing penalties and playing a fairly even game against the Redmen, but the Redmen’s Johnny-on-the-spot Tanner Phillips pushed in a wide open shot taking another score for the Redmen and taking the lead 2-1. 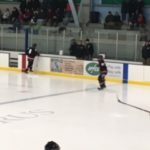 The Redmen became under attack by a Calumet powerplay due to an offensive penalty and allowed the Copper Kings to even the score 2-2. Calumet’s offense was turned on with just a minute to go on the board and the Redmen would be happy just to end the period on a tie. 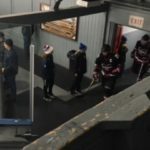 Marquette needed to regroup and come into the third with a resolve to achieve that W and bust their ends to finish off the game and board the bus home victorious to enjoy the holidays. 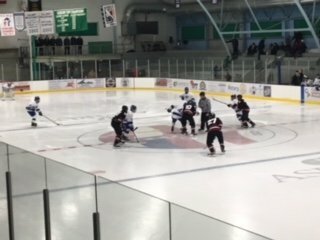 The opening face off was won by Calumet, but Marquette quickly took control from the Copper Kings. 45 seconds into the period and both teams were playing a very hard game. 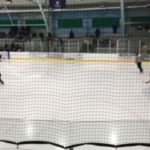 There was a lot of back and forth for a very long perod of time, but then the Copper Kings scored on Marquette taking the lead 2-3. Unfortunately for Marquette they would not go on to tie the score up and claim a victory and fell to Calumet with a final score of 2-3. The Redmen will be back in action on Friday, December 29th for MQT Showcase, stay tuned for information as it becomes available on that game on 105.1 and 99.9 Fox Sports Marquette.